TenderCrisp Technology allows you to quickly cook ingredients, then the Crisping Lid gives your meals a crispy, golden finish. 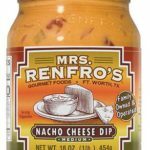 As a great recipe enhancer and flavor booster, Mrs. Renfro’s offers convenience in cooking. 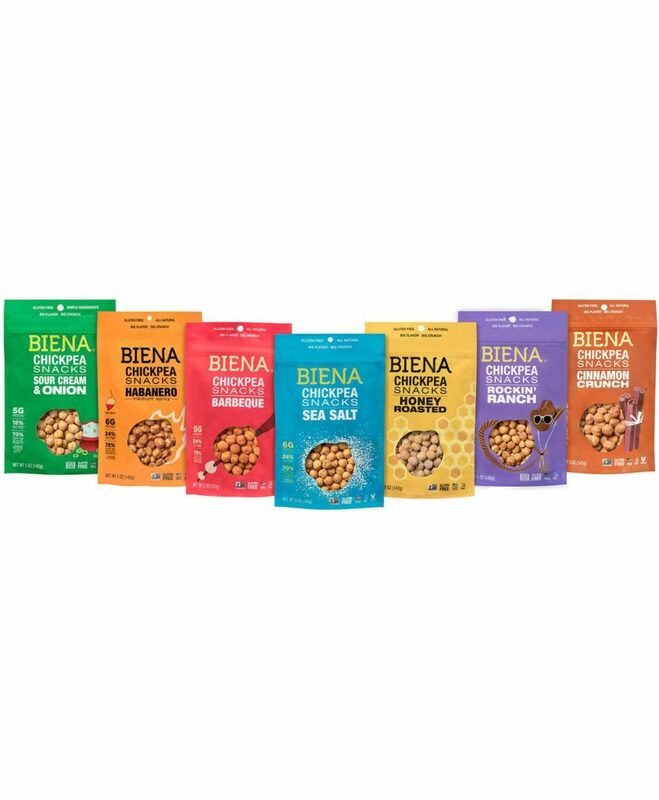 Biena prides itself on creating a delicious protein-packed, high-fiber flavored line of chickpeas sourced right here in the USA! Did I mention they are also gluten-free, vegan, and non-GMO verified? They must be doing something right, because they have sold over 1 billion chickpeas to date. 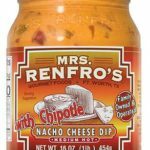 With flavors such as Rockin’ Ranch, Sour Cream & Onion, Dark Chocolate, and Habanero, they have something for everyone! 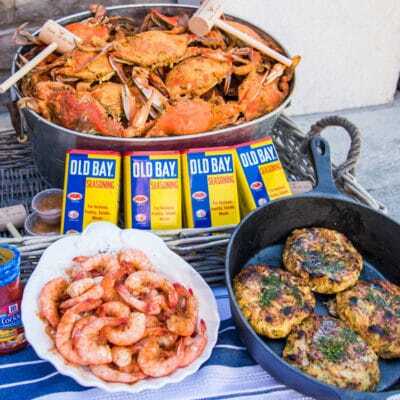 Say goodbye to the hassle of dealing with fake, undersized, overpriced, “Maryland-style” crabs because you deserve the best crabs in the world delivered right to your door at the lowest prices on the internet. Cameron’s Seafood is proud to be a True Blue certified partner which means that we only sell 100% authentic Maryland crabs. Your crabs are caught, steamed to perfection and and carefully packed the same day your order ships. Our seafood combo meals are delivered right to your door, fast, so you can spend less time shopping and more time with your loved ones. It doesn’t get much more convenient than that! 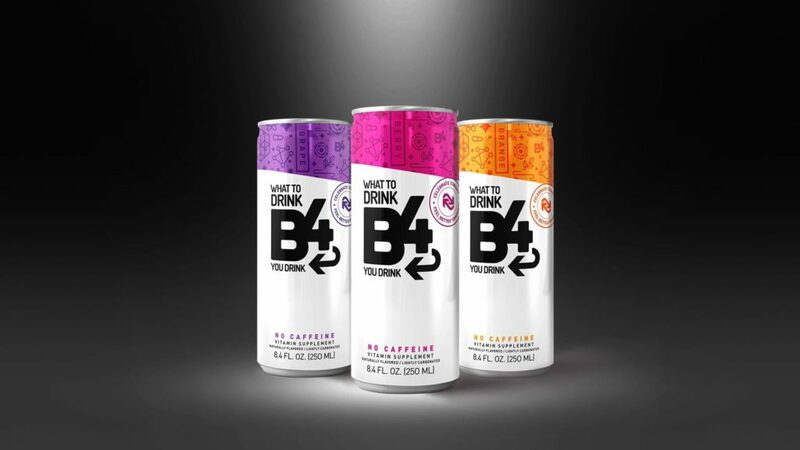 Introducing B4 – a non-caffeinated, lightly carbonated precovery supplement that helps shield your body against the aftereffects caused by having that extra glass of wine, double vodka cran, or Sunday-funday pints. Unlike the other guys, B4 contains the highest level of powerful nutrients, vitamins, minerals and other high-quality goods your body needs to fight against alcohol’s toxins so you can wake to a better day. A can of B4 before your first drink can keep you from mourning your morning. Cheers! Love grilling, smoking, and bbq? Of course you do, that’s why you are here. The world is full of people who are masters of the grill. People who can turn a slab of meat into a gift of tender juicy goodness. That means you also love trying new things that will make you a better pitmaster. 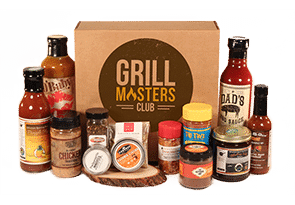 That’s were the Grill Masters Club comes in. 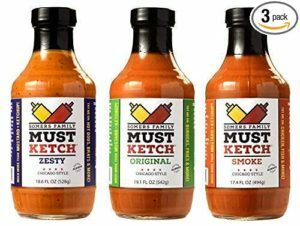 Every month they will send you a box of sauces, rubs, marinades, wood chips, new recipes, and grilling accessories to your door. 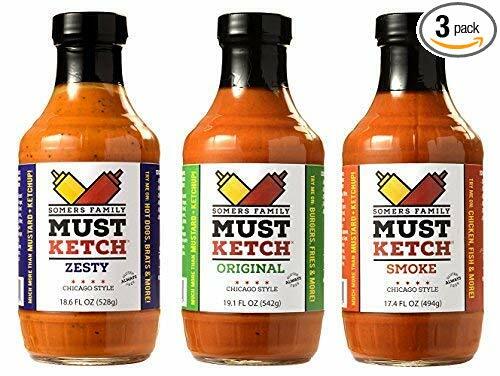 A unique blend of mustard, ketchup and spices that make it extra craveable. 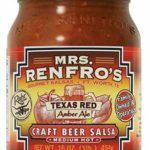 Ideal for hotdogs, bratwurst, chicken, hamburgers, french fries and more. 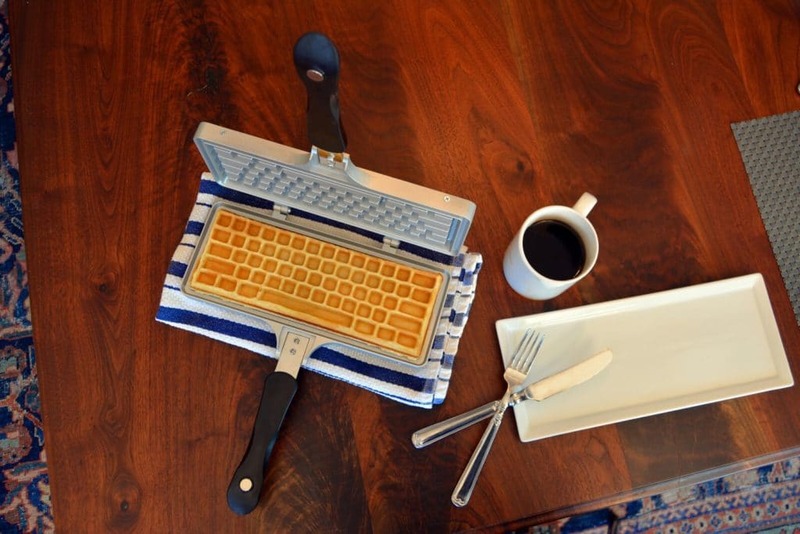 The Keyboard Waffle Iron The internet’s dream of keyboard-shaped waffles is now a reality! The KWI features a one-of-a-kind patented design that makes incredibly fun keyboard shaped waffles in just four easy steps! 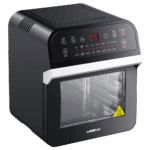 The GoWISE USA Air Fryer Oven is the newest evolution of Rapid-Air Technology, giving you the ability to fry, bake, roast, and rotisserie all at the touch of a button and in a fraction of the time. 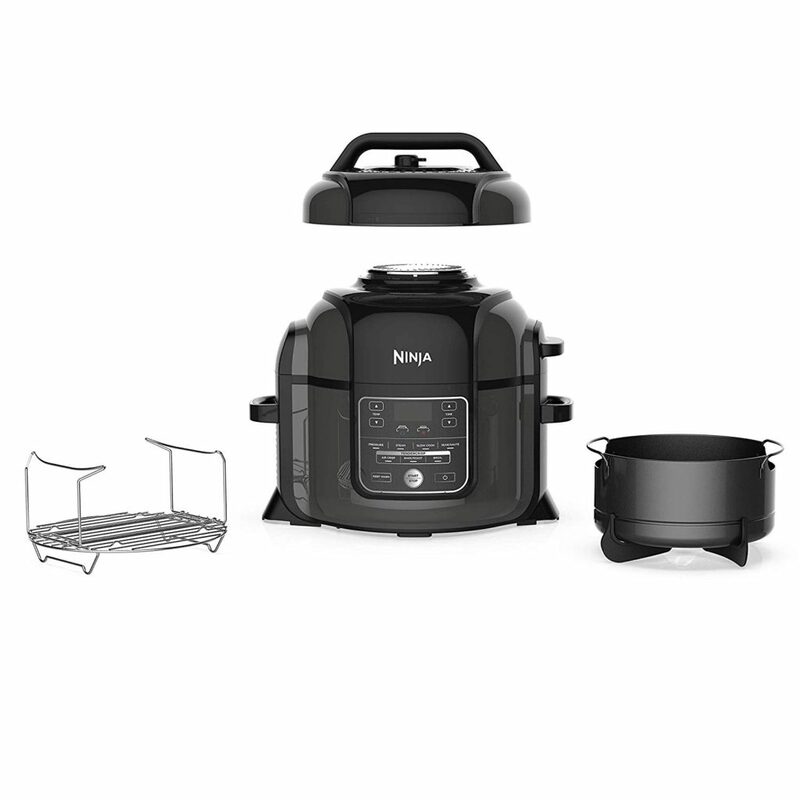 FAMILY-SIZED & SPACE SAVER: 12.7 quarts of cooking space makes this air fryer one of the largest on the market, while still being compact enough to fit easily on your countertop. 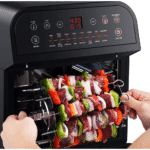 3 rack levels allow you to prepare family-sized quantities or control how fast and how crispy your food cooks. BUILT-IN ROTISSERIE: Prepare whole roasts, tenderloins, racks of Kababs, and even a whole chicken! 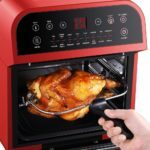 Get crispy, tender meats, perfectly blackened fish, and expertly roasted vegetables with the GoWISE Air Fryer Oven’s built-in Rotisserie – it’s fast, easy, and you’ll love it! INCLUDES 9 ACCESSORIES: Comes with 9 accessories – everything you’ll need to make a homemade meal with ease. Accessories include a rotisserie tong, rotisserie rod, oven rack, drip pan, skewer rotisserie, rotisserie cage, rotisserie steak cage, shallow mesh basket, and two mesh trays. EASY-TO-USE: Easy to read, simple to use control display with 15 presets takes the guesswork out of cooking times and temperatures. 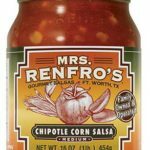 Cook for convenience or to impress without ever having to turn on the range. And when you’re done, the stainless-steel interior and remove-able, non-stick drip pan makes for easy clean-up. 50 RECIPES TO GET YOU STARTED: Your purchase includes a recipe book specifically made for the GoWISE USA Air Fryer Oven. Get started today with 50 step-by-step recipes to explore all that your new kitchen gadget has to offer. 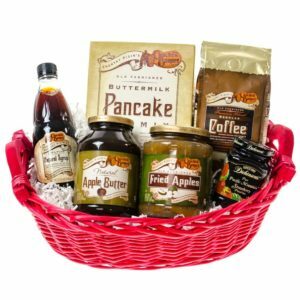 Cracker Barrel Breakfast Basket: Give the gift of Cracker Barrel this holiday season with our large Breakfast Basket! Each basket includes our famous Natural Syrup, Buttermilk Pancake Mix, Apple Butter, Fried Apples, Regular Coffee, and Strawberry Preserves. What makes us T.I.C (a.k.a. The Invisible Chef)? Once upon a time, there were two bakers slash business associates slash creative thinkers who wanted to take their national gourmet food company experience and rise above to a new level. In fact, the company’s first product line featuring Coffee & Tea Cakes was inspired by personal experience preparing unique, wholesome recipes for their own families. Meet Terry: Say “hello” to Jill – they bring the talent, tips and tools that all became The Invisible Chef over 10 years ago. Today, this dynamic duo puts their passion into baking mixes rich in all-natural ingredients. 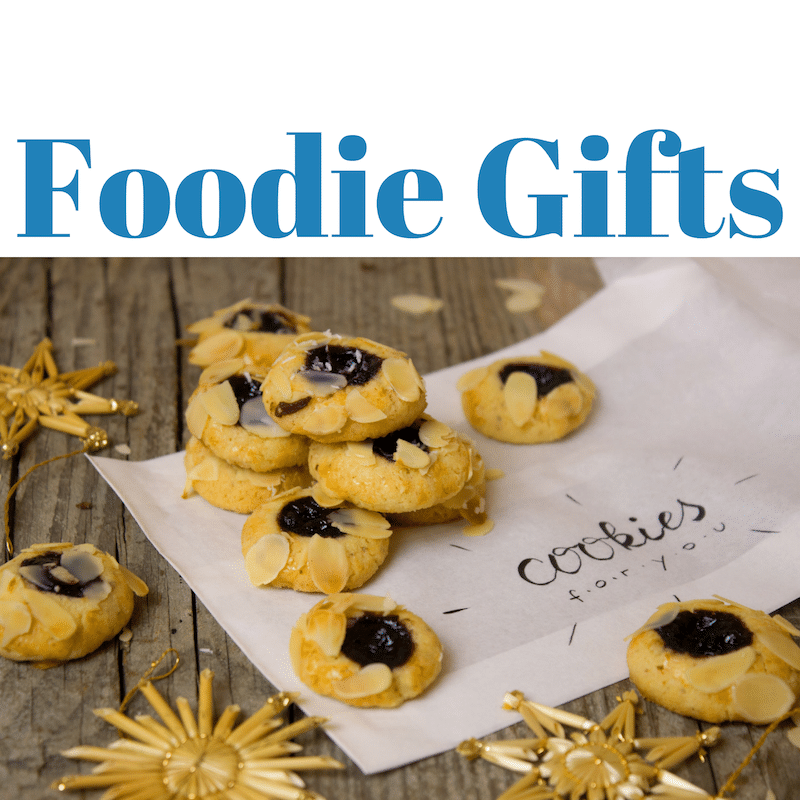 See, smell, and savor why professionals and amateurs alike turn to The Invisible Chef for industry innovations and Real Simple Magazine along with upscale food and gift stores proudly feature this sought-after brand. 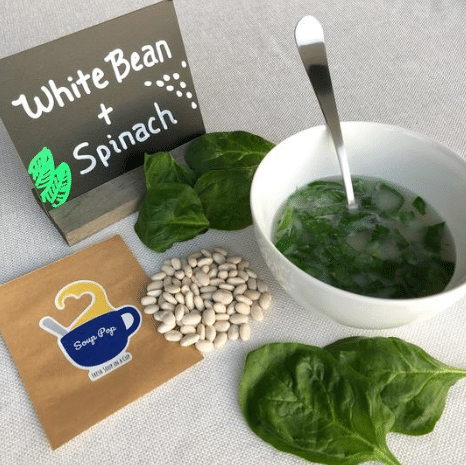 Try Shipt for 2 weeks, risk free. Through a user-friendly app and a local network of reliable shoppers, Shipt connects members to fresh groceries and everyday essentials. Saving time, fuel and headspace, next-hour, same day grocery delivery is quickly becoming an everyday necessity for people looking for an extra few hours and intentional food choices.